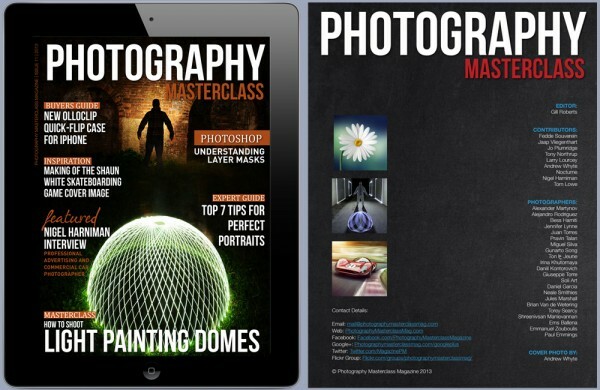 Here is my featured interview in Photography Masterclass Magazine. You can also subscribe to the magazine, click here and get your first 3 months trial for free. To download the app follow this link. 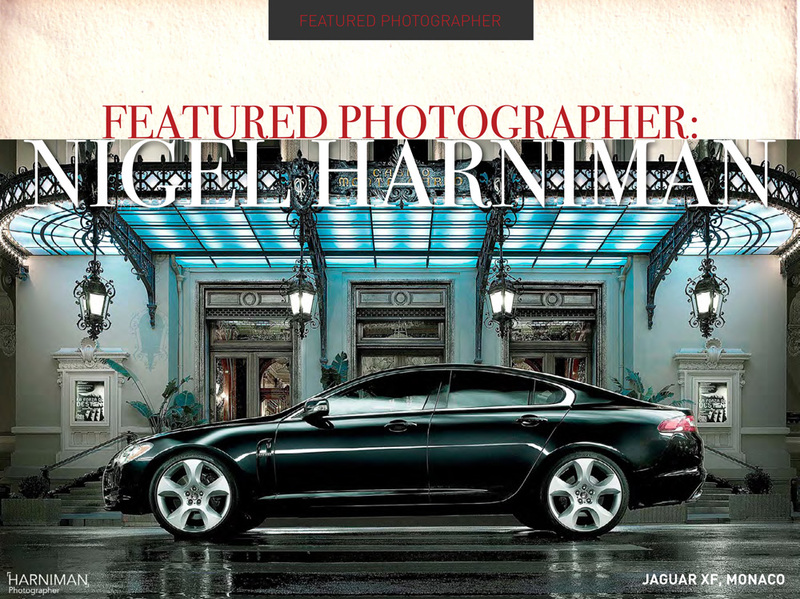 Nigel Harniman has a long established career as an advertising stills photographer shooting globally for worldwide major brands and agencies for the last 20 years. 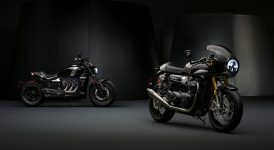 International manufacturers have called on Harniman for acclaimed new worldwide model launch images – the Continental GT launch for Bentley, the XF launch for Jaguar, Chrysler 300 in USA and subsequently Europe to name a few. This naturally developed into the CGI route of image production in both stills and animation and as the creative force behind Air-CGI. Automotive (location, studio & CGI), along with landscapes & people/lifestyle. 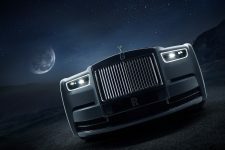 I’ve always tried to develop into new areas, for example rig photography for moving images and was at the forefront of using CGI for automotive imagery. I produced one of the 1st CGI images which Ford USA had commissioned back in 2006 to launch the new Edge model for JWT/ Team Detroit across USA. To continue to develop as a photographer, looking at new techniques and new ways of doing things, and to keep fresh & interesting. I really can’t remember when wheeled objects with or without engines weren’t part of my life. As a kid I spent all my spare time tinkering with engines, pulling things apart and putting them back together, not always successfully! My first taste of life on the road was in an old hearse travelling around Europe. 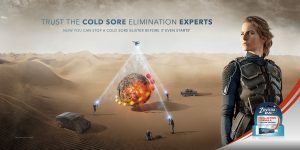 I’ve loved to travel ever since – good news for a location photographer! When I was 16, I badgered the parents for a motorbike for my birthday, instead they bought me a camera. At the time I was gutted, but as it turned out the present became my vocation. And I’ve never looked back. I loved it, used it all the time, and went on to study photography at college. 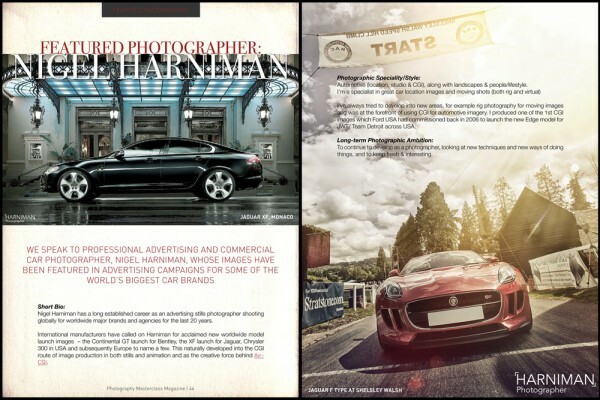 On leaving college, I went to London to assist many of the major names in advertising photography for a couple of years, then started to go freelance with own clients, gradually getting representation in UK, Europe and the USA. I’m fortunate enough to have made my passion my trade and to spend my time shooting locations as diverse as Barbuda to Billericay, Rio to Reading. 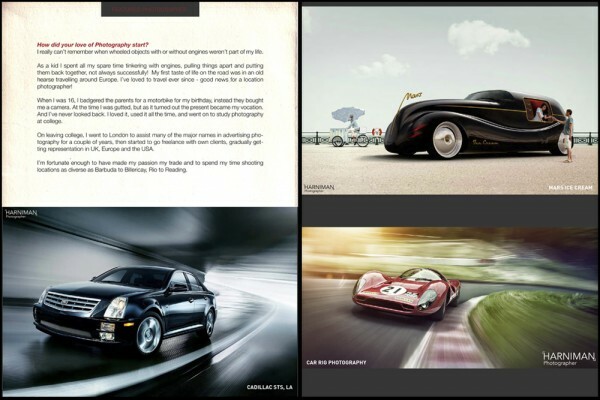 My love of creating an image, coupled with loving cars, motorbikes and shooting landscapes. I love creating shape and form with light. 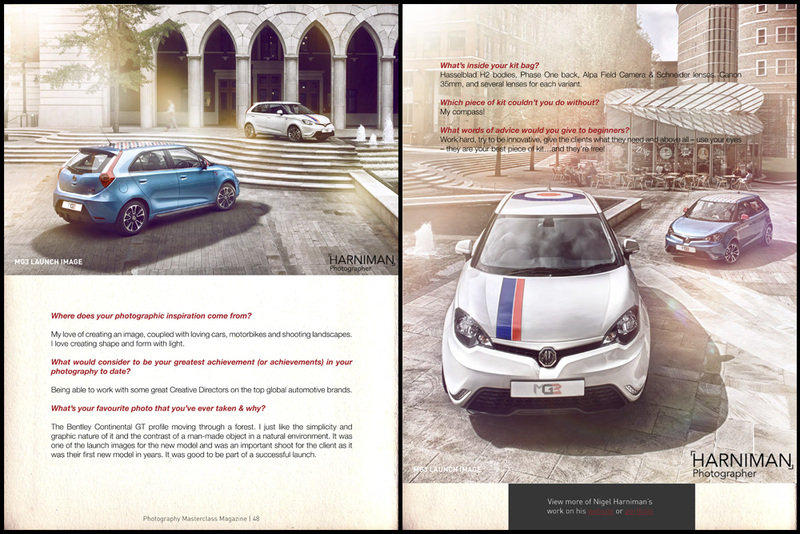 Being able to work with some great Creative Directors on the top global automotive brands. 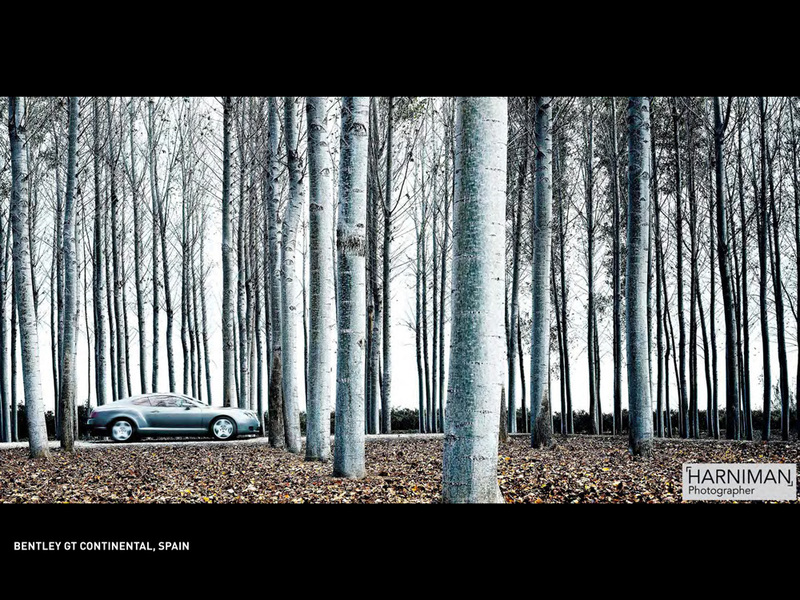 The Bentley Continental GT profile moving through a forest. I just like the simplicity and graphic nature of it and the contrast of a man-made object in a natural environment. 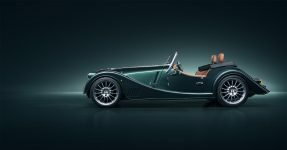 It was one of the launch images for the new model and was an important shoot for the client as it was their first new model in years. It was good to be part of a successful launch. Hasselblad H2 bodies, Phase One back, Alpa Field Camera & Schneider lenses. Canon 35mm, and several lenses for each variant. 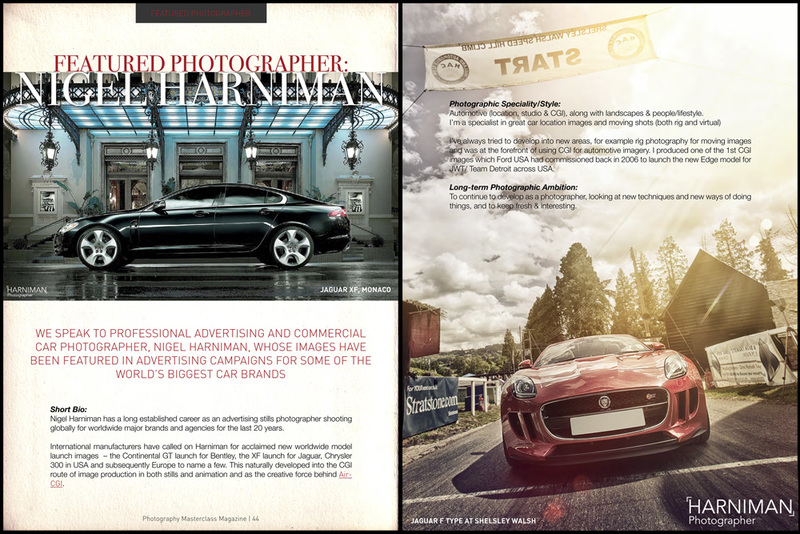 Work hard, try to be innovative, give the clients what they need and above all – use your eyes – they are your best piece of kit…and they’re free!